Anyone who has met me knows that I LOVE gadgets, always have. Usually I cannot figure out technology by myself and so I have a valued roster of friends who I call for help. Today I’m so happy to tell you all that the kind folks at Microsoft Canada have sent me a very cool Touch Mouse to check out. With this multi-touch mouse, designed exclusively for Windows® 7, all tasks become more natural, fluid, and intuitive. Microsoft is running a contest based on the Touch Mouse family products, Art of Touch Contest. Microsoft’s Art of Touch Contest is running from December 5 – February 26, 2012 with winners eligible for a Microsoft prize pack each week. To enter the sweepstakes you have to create a piece of art on the website and save it online to be eligible for the weekly prizes. Go on over and check it out, I must say I’m quite a talented artist after visiting!! 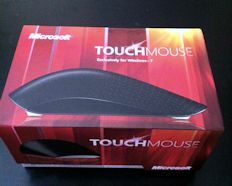 Microsoft has also generously donated one Touch Mouse valued at $79 for me to giveaway here to a Canadian resident!!! It’s simple to enter, simply fill out the Rafflecopter form below, contest ends Jan 26! I totally need a new mouse! Rafflecopter is asking why I want to win a Luxebox? I don’t – I want a new mouse! After buying a new computer out of necessity, I’m still using my old mouse, which looks a little shabby next to my shiny new computer! I would like to win because I would love to own a touch mouse. Just like you, I love gadgets and this touch mouse looks cool! I need a new mouse as I have a really old one. I need a new mouse and this one looks totally cool. I need a new mouse because this wireless one from hp blows chunks. My mouse is from 2003 and it constantly skips places or the scroll button jumps. I would love to win this because my mouse is old and boring and this one is very cool! The mouse we have is no name, takes weird batteries and the wireless plug in is stuck in the usb port! I could use one of these . I’d love a new mouse and this one looks perfect. We tend to go through mice quickly – can always use a new one, and this looks very interesting! I keep dropping my current mouse when I move around with my laptop, so I definitely need a new one! I would love to win this mouse because I spend alot of time on the computer and need a new mouse badly! This one looks awesome! I would love to win a Touch Mouse as our current mouse keeps freezing and I need to take it apart and clean it every week it seems! I need a wireless mouse, still using an old wired usb mouse. I hate constantly yanking the cord that gets stuck behind the desk. I would love this! Need a new mouse bad! The cord gets stuck behind the desk & monitor, it needs to be cleaned often & it’s 6 years old. 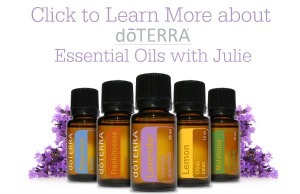 Time for a fresh start to the New Year! I want to win a new touch mouse because I can then enter great giveaways like this a bit more accurately. Unfortunately, I generally end up buying good old dollar store mouse(s) and they turn to useless garbage rather quickly. I have never owned a good quality mouse and would love to try this one out! Thanks so much for the opportunity to win! I could use a new mouse!! And that one is pretty cool! I do not even own one I use the pad on my laptop so would love one! my current mouse is very old and connects with a cord. i would love this one for an upgrade! I would like this prize because I love new tech gadgets! I would love this mouse. it looks slick. and fast. like a mouse. squeak. I would love to own a touch mouse! I am hard on mouse so it is time for a new one! My mouse is broken adn could definitely use a new mouse, especially one this good! I want to win a touch mouse because my wireless mouse is years old and will give out and I love to try newer versions of gadgets to see whats better. I need a new mous badly. I would like to win a touch mouse because I continually have mouse “problems” Microsoft has great products and hopefully the mouse would be reliable. I am always dropping and breaking my mouse and I really need a new one! I love the contour shape and multiple controls which I think would come in handy. My current mouse is really old and I love the shape of this touch mouse. Mouse would be great to give to him. Would help him with his computer skills. my mouse is like 7 years old i need a new one for school. My son received a new laptop for Christmas and I would love to be able to give him this mouse for it. Well like most people entering this, I need a new mouse but this one sounds excepitional and has a great review! I’m a mouse addict. I normally search for new mouse most of the time, and this one looks awesome. I want to win because my mouse doesn’t work very well! my mouse just died and Im have been using one of the old mouse with a cord. I would want it for my hubby, his laptops touch pad doesn’t work the best and he gets so frustrated with it. Would love to make things easier for him. my left button of my laptop is super wonky so a mouse would be so useful! would love to win this, i have an outdated corded mouse that a pain to use! My mouse is terrible and I would love a new one!